Reach for a cabinet scraper. Because I rarely work with ornery wood, this tool does not see much action in my shop. But when you're working with a species that won't play nice, the cabinet scraper is your best friend. 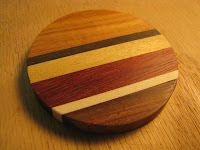 A neighbor asked if I would make some striped discs of wood for a jewelry project she's working on. 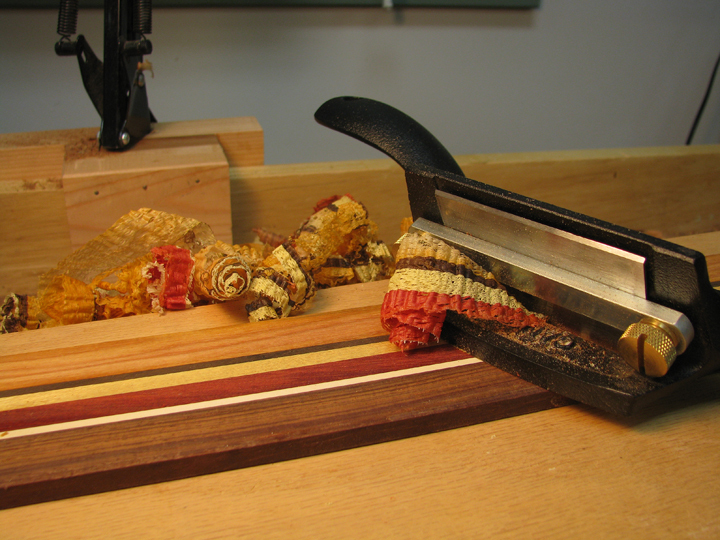 So I glued up a bunch of exotic wood strips and planned to plane the laminated board to thickness once the glue dried. Sometimes even a well-tuned and sharp handplane can't handle the likes of Chakte Viga. You can use a card scraper for small projects like this, but a cabinet scraper keeps your work flat and prevents your thumbs from being set ablaze. And it can save you from some frustrating scrapes.